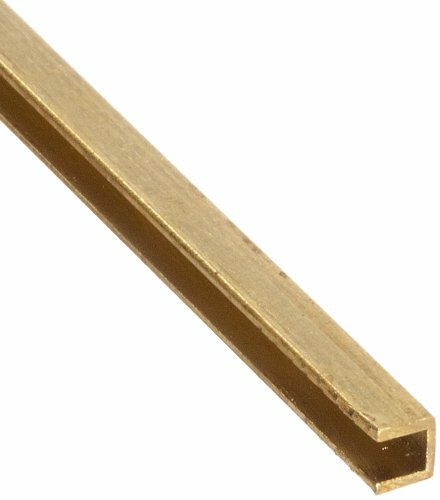 The 260 brass U-channel with equal leg length and squared corners has an H02/H03 temper, is unpolished, meets American Society for Testing and Materials International ASTM B16 specifications, and has a precision tolerance. The 260 brass alloy, also known as yellow brass and cartridge brass, is corrosion resistant and has high formability due to its zinc content. The material has an H02/H03 temper, meaning it has been cold worked to a 1/2 to 3/4 hard temper. 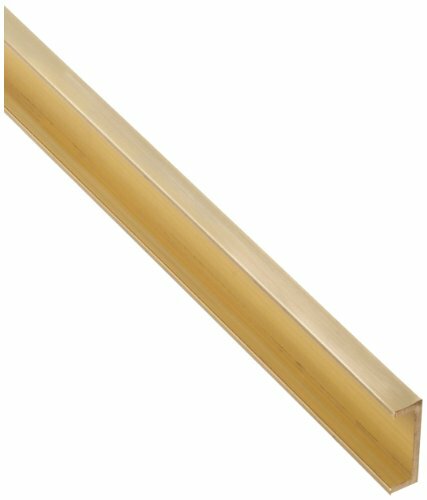 The 385 brass U-channel with equal leg length and squared corners is unpolished, meets American Society for Testing and Materials International ASTM B455 specifications, and has a standard tolerance. The 385 brass alloy, also known as free-cutting or architectural brass, provides corrosion resistance and high machinability due to its high lead content.